The My Passport Slim isn't flashy, in any sense of the word. In fact, its most distinguishing feature may be its lack of distinguishing features. It's a USB 3.0 bus-powered portable drive built around a standard rotational hard drive with a healthy 1TB of storage capacity. WD announced a version with a more noteworthy 2TB of storage capacity, but that model is not yet shipping. With read and write speeds hovering right around 100MBps, the My Passport Slim didn't break any performance records, but is fast enough for incremental backups. The fastest test result was 130MBps reading 10GB of files and folders when running under Windows 8. The drive ships formatted as NTFS and comes with WD Smartware Pro for Windows which offers automated backups and even backups to cloud services like Dropbox. You can easily reformat the My Passport Slim as HFS+ for use with Macs and OS X's Time Machine backup application. 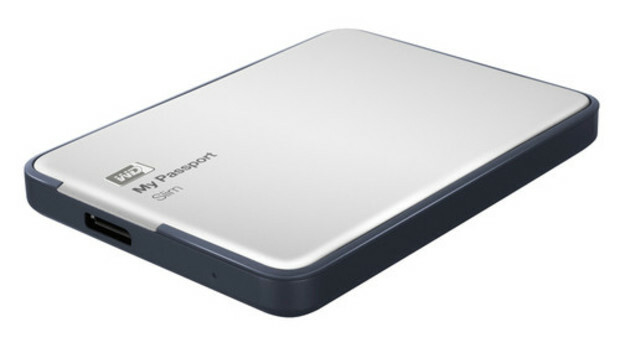 The My Passport Slim isn't the fastest, cheapest or thinnest portable hard drive around. But it offers acceptable speed, respectable storage capacity at a reasonable price.